You are currently browsing the tag archive for the ‘Spice Powder’ tag. 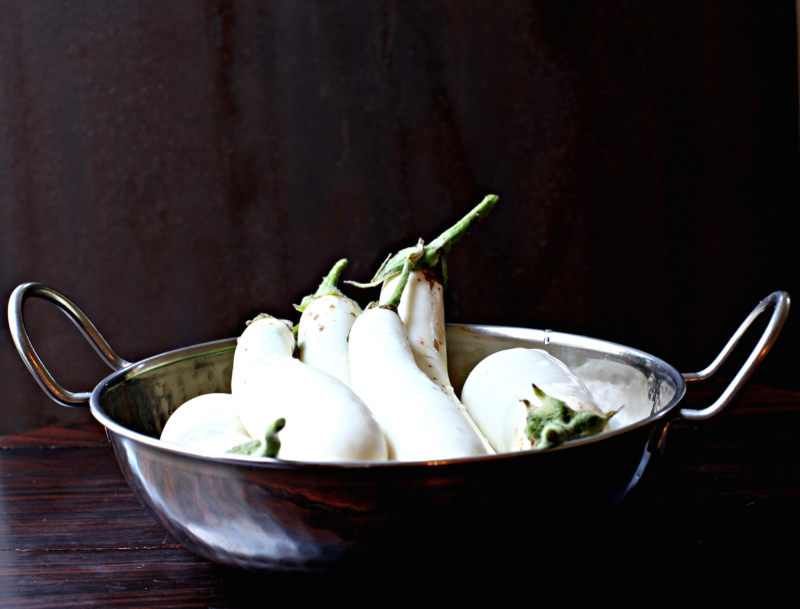 Cooking with white eggplants and onions from my garden. I enjoyed growing this variety of eggplant in my garden. It was a visual delight, growing in elegant white clusters amidst beautiful star pointed purple flowers. It was also surprisingly mild and sweet tasting. After I came back from my trip towards end of summer, I was only able to harvest a few eggplants, not enough to make a substantial dish for the whole family. So I decided to stretch the vegetable by adding it to rice to make an Indian rice dish called Vangi Baath or Eggplant Rice. This is traditionally made in western and southern parts of India. 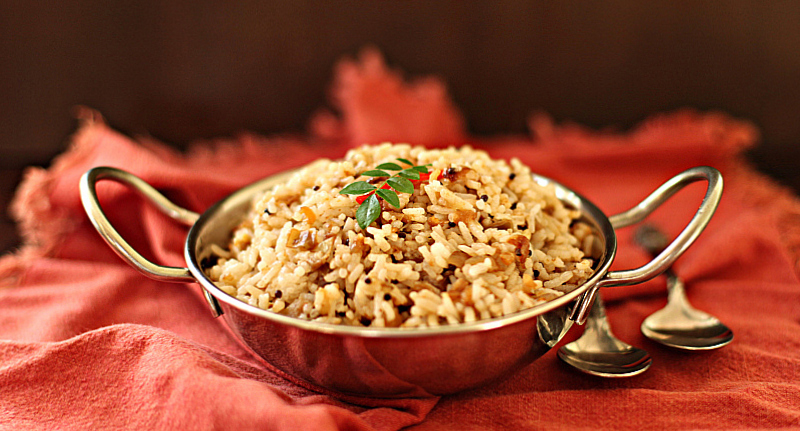 The vegetable is cooked with a premade spice powder and then added to rice to make a less fussy version of a pilaf. Cook 3-4 cups of white rice and set aside. Warm a small pan with oil. Add the split peas and coriander, stir continuously till fragrant and the split peas are toasted to a light brown hue. Next add the cumin and red chilies and toast for a few seconds. Turn the stove off, cool and grind the spices to a fine powder. 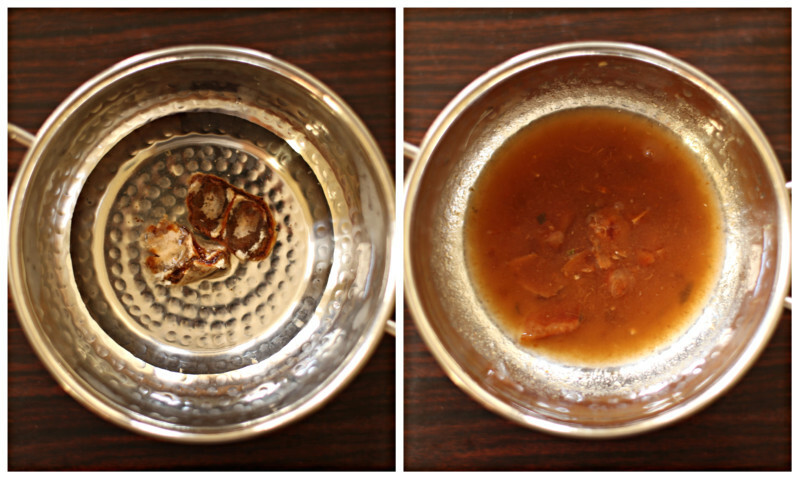 A small amount of tamarind soaked in a 1/4 cup of hot water [see pic]. When cool, squeeze the tamarind to extract the pulp. Discard the remnant fibres. Soak the diced eggplant in water for ten minutes to leech out any bitterness, then drain. 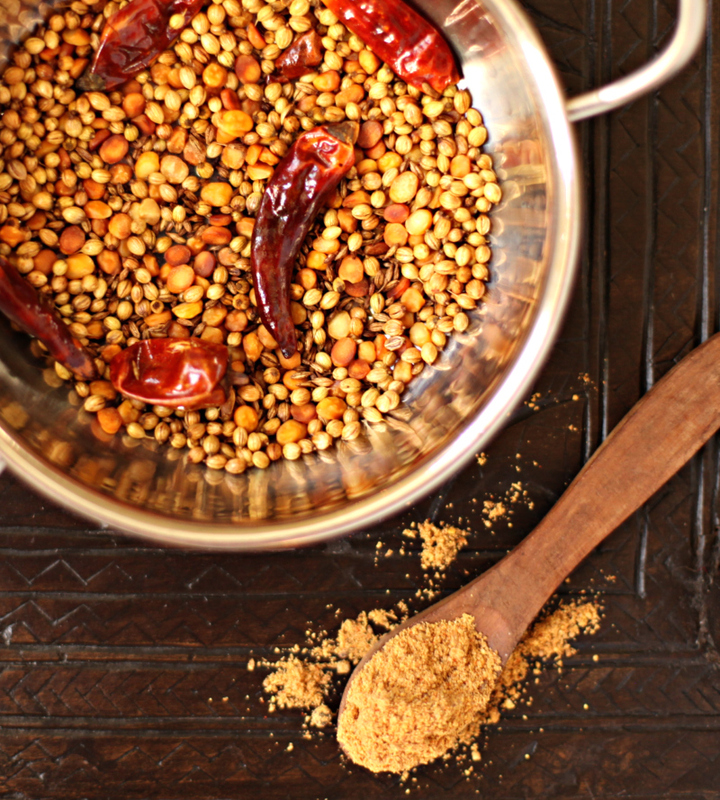 Warm oil in a pan, add the mustard seeds and let it pop, add the curry leaves. Sauté the drained eggplant and onions till the eggplant is almost cooked, about 12-15 minutes. Add salt, the tamarind extract and 1-2 tablespoon of spice powder and cook for a minute. Spread 3-4 cups of rice on a wide plate. 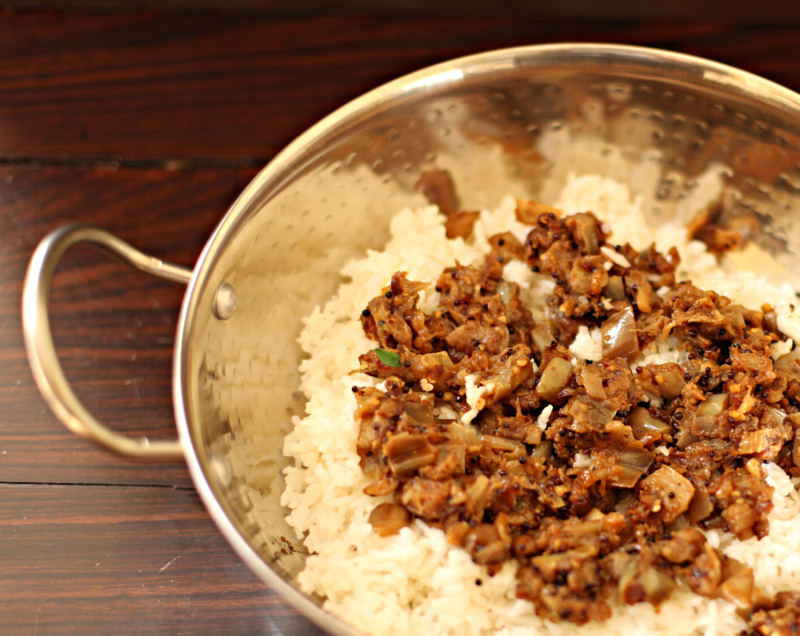 Add the cooked eggplant to the rice and gently mix so the rice doesn’t clump together. Adjust for salt, put in a dish and serve, with raita and papad or potato chips.